Welcome to the New CurvedSpace! This is still your destination for forums, games, and beyond... Though we need your help! Join us again as we rebuild and become more awesome than before. Our focus right now is activity on the forums and recruiting for the Defenders of Aderon, though any other help will also be greatly appreciated. Please remind inactive members about us, invite your friends, and remember to post on the forums! * The moderator team will go through some changes in the near future. Active moderators will keep their positions, while others may be set as "on leave". Be sure to show that you are still here if you want to remain an active moderator. * There will be commendations given for activity as we rebuild our community. Names will be permanently listed for all who help, so all will know who helped to rebuild CurvedSpace at our second beginning. New members also qualify for this! * There will be regular events held in Guild Wars for the purpose of recruiting. Be sure to check the Event Board frequently so you know when to meet! Any members ranked Officer or above may start recruiting events (since they are required for sending invites). All other types of events can always be organized by any member. 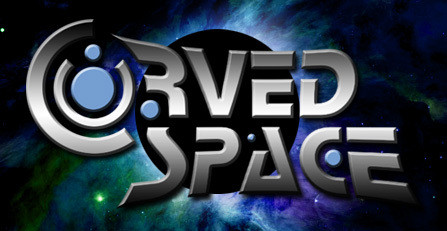 It is clear that those who remain active on CurvedSpace want our community to succeed. Let's work together to succeed again! If no one around here plays Heroes of Newerth, I may try to just recruit enough people in-game to make a CurvedSpace clan (probably called something different of course), and get a home-base set up here to showcase the clan's guides, strategies, and fun stuff. That's the only game I play as of now, until GW2 is released (hopefully this year!). I'm also thinking about blogging about my real life through here. I've never been interested in blogging for my school, friends, or whatever, because they know what I'm up to anyways... but it now seems a bit interesting to share my activities with all you guys who don't get to see me. Most of the entries would be about my film-making and running. I'll be doing pre-production for the movie I'm filming in the fall, and training for indoor track next winter. Maybe I'll even look for input on my script!